The Southern Residents have a unique set of vocalizations, which researchers call “dialects.” The whales learn to communicate with each other as they hunt for chinook salmon. That works out because the fish are unable to detect the frequency of the various whale sounds, including echolocation used to find the fish. It is easy to imagine that many years of hunting chinook has led to a unique culture that involves efficient hunting styles, traditional feeding areas, and social rituals used for group cohesion. I always enjoy hearing from people who have observed the so-called greeting ceremony, which may take place when two or more pods of Southern Residents have not seen each other for a time. Members of one pod form a side-by-side line facing members of another pod. They swim toward each other, eventually intermixing. The cultural message about hunting for chinook salmon probably served the Southern Resident orcas well for thousands of years. Chinook salmon were once very large fish, comparable to the size of a small harbor seal. One fish would be a good meal, perhaps even enough to share with family members — a custom that has been observed in modern times. But today’s chinook salmon are not what they used to be — in terms of size, abundance or timing. The onslaught of human fishing and shoreline development wiped out many spring chinook runs, which had fulfilled the ocras’ needs at the end of each winter. Transient killer whales, which eat harbor seals as well as larger marine mammals, would not be caught dead eating fish, just as residents would never eat marine mammals. Transients have their own culture, and they are much less talkative than residents, especially when hunting. That’s probably because their prey — the marine mammals — might hear them. Transients are, however, known to celebrate with loud vocalizations following a kill. By eating different things, the residents and transients can occupy the same range without competing for resources. Because of cultural differences, the two types of orcas do not interbreed and tend to keep their distance. Experts say the two groups diverged from a common ancestor about 250,000 years ago, although it isn’t clear when their dietary preferences diverged. In any case, it has been long enough that their physical characteristics have evolved to suit their needs, with transients being somewhat larger animals with strong jaws for taking on larger prey. I’ve heard people say that the Southern Residents should learn to eat marine mammals. That would certainly save the species from extinction, they say, given all the seals and sea lions in Puget Sound. But that’s a cultural divide too wide to cross at this late date. A talkative Southern Resident probably could never sneak up on a seal — assuming he could even bring himself to eat something that violates cultural norms. A new paper by researchers Hal Whitehead of Dalhousie University in Halifax, Nova Scotia, and John Ford of Canada’s Department of Fisheries and Oceans describes the results of a computer model designed to simulate cultural evolution among killer whales over a very long time. They found that killer whales, like many other species, tend to increasingly specialize on one type of prey as long as it remains abundant. Meanwhile, natural selection without cultural evolution leads along a similar path to specialization but at a much slower pace, according to their article in the Journal of Theoretical Biology. While culture may serve as a key to evolutionary success, specialization can also lead to a dead end with failure for a given population. In a 2011 article in the “Journal of the American Cetacean Society” (PDF, 376 kb) researcher Lance Barrett-Lennard of Vancouver Aquarium in British Columbia says culture allows generations of killer whales to maintain a body of information about how to find food under adverse environmental conditions. Without such knowledge, the population could struggle to survive, not knowing which way to turn under adverse conditions. The question for today is whether the Southern Residents have enough group knowledge to locate the smaller number of chinook and perhaps other fish for the population to survive. Reproduction, which is essential to maintain the population, has been shown to suffer when the whales are deprived of adequate food supplies. The computer model used by Whitehead and Ford was able to run the clock far into the future under different assumptions, including how quickly new innovations in hunting become assimilated into the culture. They found that specialization most often leads to an unsustainable depletion of food resources over time, and rarely does a population reverse course and start consuming a wider variety of prey species. Whitehead and Ford recognize that the likelihood of extinction increases when external forces, such as humans, reduce the available prey even further. But the authors acknowledge that they did not consider whether a shortage of food could drive the need for generalization, thus shifting culture in a new direction. As with human ethnicities, some groups of killer whales in other parts of the world may be more prone to innovation, thus increasing the rate of specialization and the depletion of resources, they say. Other groups may have a culture that maintains generalization, particularly in less productive areas, such as the tropics where no single prey species may be adequate to sustain a killer whale population. The Whitehead-Ford paper ends with a hopeful note that an innovative orca might emerge among the highly specialized killer whales, who prefer chinook salmon but have been known to eat chum salmon and other fish. “Within a specialist ecotype that is in trouble because of the depletion of its particular resource, an individual who innovates (either generalizing or shifting to a more available resource) may be the model for social learning that leads its group members out of the ecological trap,” the paper states. 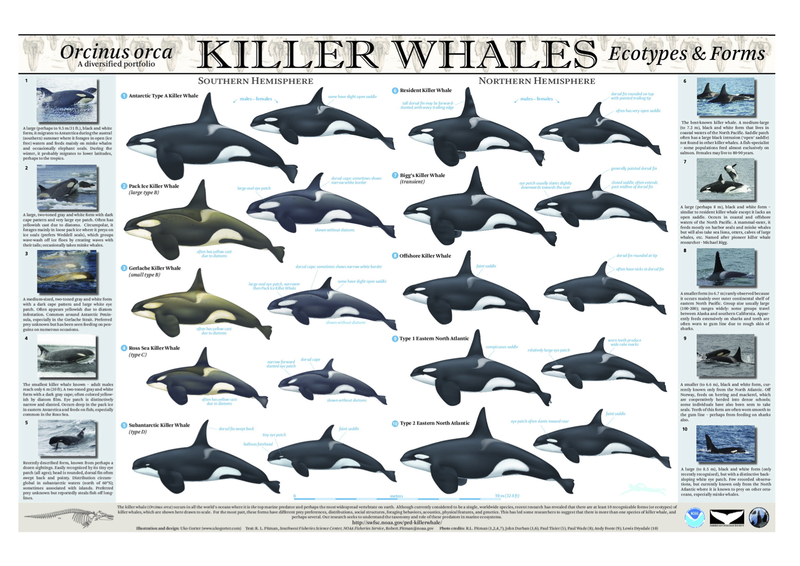 While it is interesting to follow these theories of population dynamics, we still must struggle to find a way to save the Southern Resident killer whales from extinction. 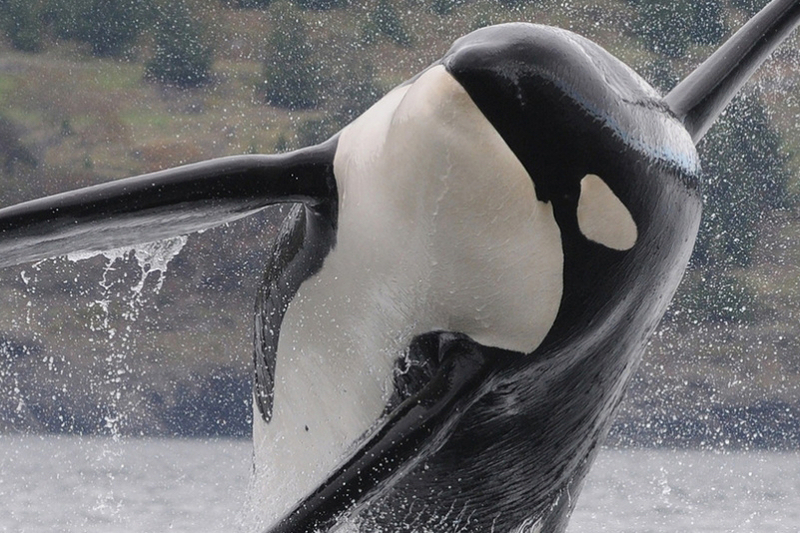 As the governor’s killer whale task force has learned, short-term solutions are proving hard to come by. The only real answer for these top predators may be to restore the food web that supports them. In regards to the Southern Residents preference of Chinook salmon, it’s not “cultural”, it’s biological. They have evolved over 10,000,000 years to eat fish. Chinook are preferred because of the many types of salmon here they A) are the fattiest, and B) until relatively recently, they were abundant. The Southern Residents (and Northern Residents too) have an entire physiology,teeth, gastric juices, bone structure, etc. designed for fish. That’s not culture, that’s biology. Thanks for commenting. It is true that the resident whales have evolved to digest fish, but their preference for chinook and methods to hunt them is learned behavior. I think the authors of the paper raise some very interesting issues.